Elderberries Rock Against the Flu, But How? 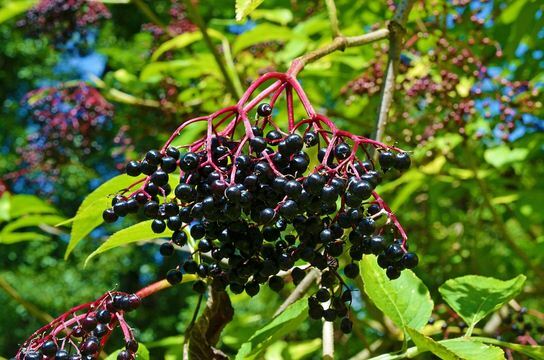 Babyboomers, you may remember your moms and grandmas making you drink elderberry tea when you were sick.Well, your elders had it right.This berry has been used for culinary and medicinal purposes for thousands of years. At one time, it was even used as a protection against witches, and at another, its effects were thought to be the power of the devil. To modern society’s credit, these beliefs and fears were put to rest. It seemed, though, that we had forgotten about this time-honored remedy for physical ailments, as an ever-increasing number of chemical cures and treatmentsfor illnesseswere discovered. Thankfully, though, elderberryhasbecome the subject of extensive studies in recent years and found to be effective against several disease conditions.With the current push toward healthier living, we are beginning to understand the value of some of these ancient remediesand are looking at elderberry as a safer alternative to medications, such as Tamiflu, for treating the flu. The elderberry plant, or black elderberry, is native to Europe, Africa and Asia. It belongs to the Sambucus family of plants and is also known as the European Elderberry or by its scientific name Sambucus nigra. All parts of the elderberry plant arepotentially usable, but the raw fruit is known to contain sambunigrin, a chemical that can produce the toxin cyanogen. Additionally, the seeds contain cyanide. Harm can be prevented by heating the plant, which destroys the toxins. Don’t worry about over-the-counter elderberry products, as the processing used in their manufacture destroys toxins, also.Elderberry may have the rare side effects of mild indigestion or hypersensitivity to the plant, both of which are common with the ingestion of any food or drug. Since the late 1990’s, elderberry has undergone many controlled trials, and has subsequently been proven to reduce the severity and duration of symptoms against the flu if taken within 48 hours of the onset of symptoms. That sounds much like the facts found in Tamiflu’s product information, doesn’t it? But how does it do this? Plants contain phytochemicals, chemical compounds produced to protect them from the invasion of foreign substances. The phytochemicals in elderberry preventproteins in the flu virus from adhering to tissues, particularly in the respiratory tract, by inhibiting the virus’s production of neurimididase. This enzyme is what facilitates the attachment of the virus to cells. Without it, the virus can’t get in to infect them. Assisting phytochemicals in the elderberryplant are anthocyanins and flavonoids, substances that are responsible for the antioxidant properties that boost immune systems. They do this by blocking pro-inflammatory cytokines, chemicalsin the body responsible for inflammation. In addition to being used against the flu virus, elderberry is used for wound care, inflammatory conditions such as arthritis, the common cold, and allergies. It isthought to prevent or shorten the duration of herpes outbreaks and is alsoknown to have antibacterial properties as well as antiviral ones. Studies continue to determine more about the exciting prospect of elderberry use in the fight against cancer and even AIDS. European elderberry is the only variety known to have these healing properties, so make sure the product you buy is made from European elderberries and has Sambucus nigra listed as the active ingredient. The recommended form is elderberry extract and It comes asa syrup, lozenge, gummy, and capsule. As a bonus, the FDA considers elderberry products to be safe when used as directed.The next time you are sick, discuss with your doctor the possibility of considering elderberry extract as a holistic option against cold and flu symptoms.